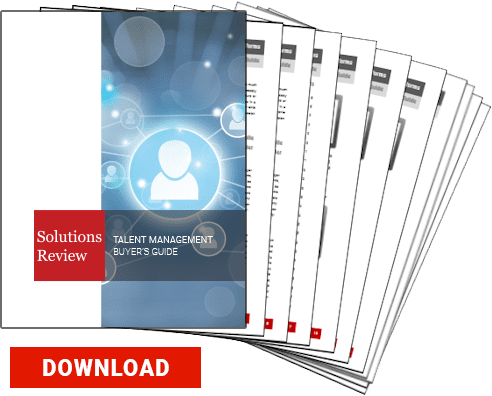 As talent management vendors add significant new value to their offerings, they are becoming increasingly attractive takeover targets by larger human capital management (HCM) vendors. According to the latest Technology Value Matrix for Talent Management from Nucleus Research, stand-alone applications are diminishing as the solution becomes more of an embedded solution for HCM, much like AI and analytics. The Value Matrix provides a transparent tool to help businesses quickly assess their technology options in a friendly, visual format. Nucleus Research provides a straightforward analysis of tech solutions based on the functionality and usability they deliver. You can easily compare solutions and zero in on those that meet your unique business requirements. Leading businesses regularly use the Value Matrix to make better tech decisions. The Talent Management Value Matrix Leaders include: Ceridian, Cornerstone OnDemand, Oracle Talent Management Cloud, PeopleFluent, Saba Software, SAP SuccessFactors, SumTotal Systems, and Talentsoft. Talent management systems are integrated software solutions built to track and manage the recruitment, professional development and performance of employees and potential candidates. These systems enable the automation of all the processes within the talent management realm and simplify workflows for HR and the company as a whole. “With only a handful of vendors surviving as standalone players against broader HCM offerings, talent management leaders are moving in the right direction with new features that support continuous visibility and learning capabilities, but they still need to do a better job of making these complex innovations more digestible for their customers,” said Rebecca Wettemann, VP of research at Nucleus Research. Recruiting and retaining employees have become a competitive advantage for talent management vendors as they shift to bottom-up performance review and succession planning models that prioritize individual performance evaluations over broader departmental approaches. Leaders are also increasingly developing better collaboration tools, AI and natural language processing (NLP) capabilities to provide managers and employees with a more continuous and complete view of workplace talent. “Successful vendors are innovating in the AI and natural language processing space, but adoption of advanced capabilities is still a challenge for many. Future innovations that are on the horizon for talent management include integrated coaching based on individual profiles and communication styles, accounting for the “whole employee,” and the standard availability of succession planning,” said Trevor White, analyst at Nucleus Research. With the current market becoming highly competitive for quality workers, otherwise known as the “war for talent,” companies are considering HR capital a top priority, and since companies are only as successful as the people within them, it’s important to find, hire and retain quality candidates and top performers. A strong and efficient talent management system can help with attracting and retaining top talent as well as making a bottom-line impact on productivity. Vendors are evaluated within the Value Matrix on both usability and functionality – key drivers of value – and placed into four categories: Leaders, Experts, Facilitators, and Core Providers. Download the latest Talent Management Technology Value Matrix.